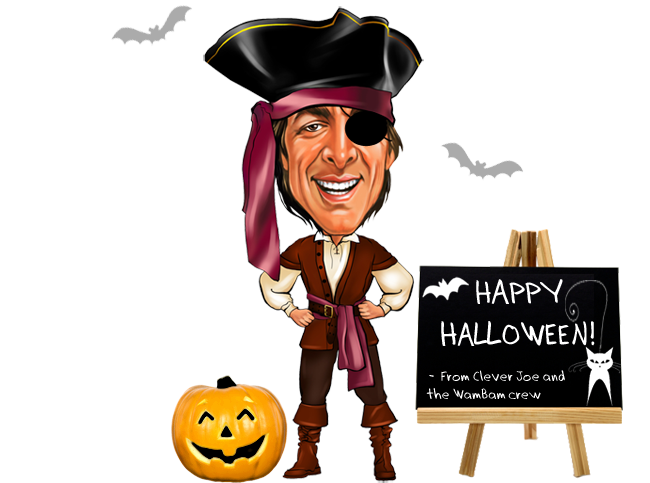 Clever Joe is in the Halloween spirit this year, and he’s even adorned a costume for the occasion. Click here to see what he’s up to on our homepage. Our digless vinyl fence is fun to install, so we don’t see any reason why we can’t have a bit of fun with Halloween. 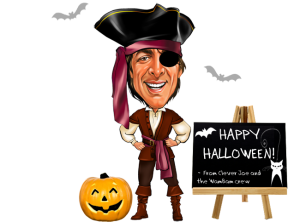 Speaking of, make sure you have fun dressing up this year and indulge in a bit of extra candy. It’s what Halloween is all about, right? But sometimes it’s just inevitable. We try to minimize hold times as much as possible at WamBam Fence, but sometimes if someone has a question that needs a bit of looking up or consultation with a coworker, we have to put a customer on hold. We elected to do away with annoying “on hold” music and instead got Clever Joe and Frank Wambamalino to engage in a bit of dialog about how annoying it is to be put on hold. This way, when a customer is put on hold, hopefully we can at least make them smile a bit. It’s WamBam, digless vinyl fence that’s easy to install. BJ’s is another formidable name in retail, and we are pleased to announce that they have partnered with us to offer part of our line on their website www.bjs.com. With partners like BJ’s Wholesale Club, we’re bringing digless vinyl fence that’s easy to install to the do-it-yourself market. Menard’s is the third largest home improvement chain in the States. We are proud that they have partnered with us and are now offering WamBam’s full line online and in-store special order. Within 24 hours of being live, Menards sold one of our fencing jobs. We followed up with the customer who said he was very impressed with both the ease of installation and look of the vinyl fence. His wife chimed in that when the UPS driver dropped off the boxes, he said something like, “WamBam Fence! What the heck did you folks order?” And chuckled his way back to his brown truck. We’re happy to have Menards on board- not to mention customers who have had good experiences with our digless vinyl fence that’s easy to install.